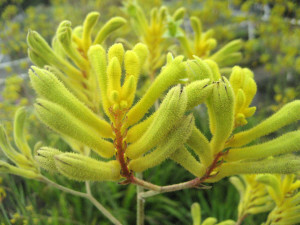 leaves to 2′, flower stems to 4’+ Kangaroo Paws are perennials with tall spikes of furry, claw like flowers. After flowering cut out the old fans completely, down to the ground. 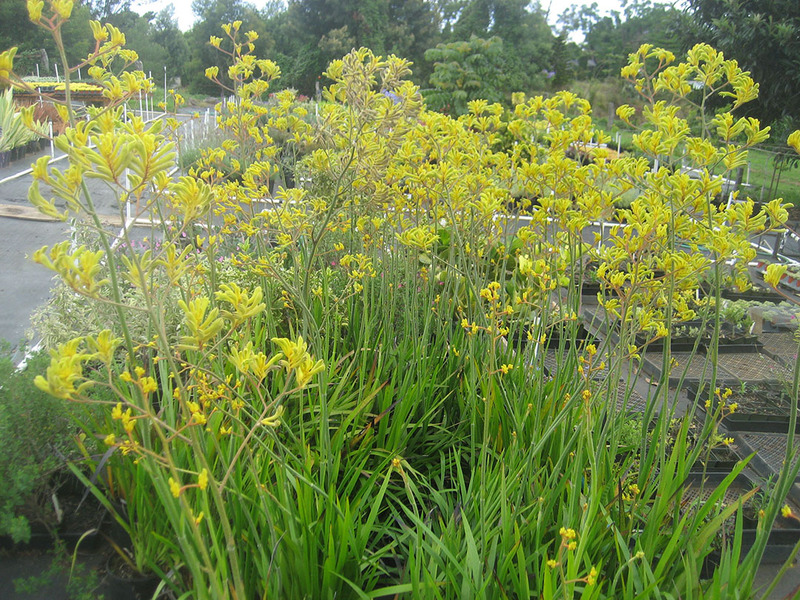 It is also beneficial to divide the crown every 2-3 years, discard the old center and replant the fresh active fans. Plant in full sun to partial shade and supply moderate water. Kangaroo Paws are fine accents with their tall, colorful stems, and are also good cut flowers.